Amy B. 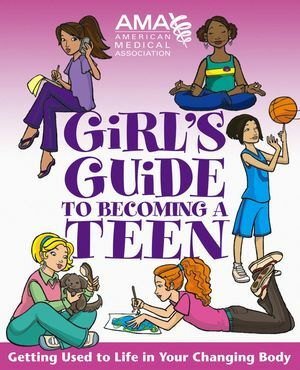 Middleman, MD, MSEd, MPH, is a board-certified Adolescent Medicine specialist and Associate Professor of Pediatrics at Baylor College of Medicine in Houston. She is a practicing and teaching physician specializing in the care of adolescents at Texas Children's Hospital. In addition to her Doctor of Medicine degree, she has a Master of Science in Education and a Master of Public Health degree. Kate Gruenwald Pfeifer, LCSW, is a licensed clinical social worker. She has a master's degree in social work from Columbia University as well as a certificate in psychodynamic psychotherapy with children and adolescents from NYU Psychoanalytic Institute.